You'll receive an automatic response to confirm this and to provide you with a ticket enquiry reference number. If you haven't received an automatic reply then your email was not sent successfully and we recommend contacting us again. Our customer care team will always respond to your queries as quickly as possible. During busy sale periods there may be a slight delay on response times however these will always be advertised on the email confirmation receipt you receive once you've sent an email to our team. - Check your Spam settings and Junk folders in your inbox. Emails from our customer care team will always come from "support@prettygreen.zendesk.com". - Check your account details are up-to-date on www.prettygreen.com. If we can't respond to your email we will try and contact you using your registered account details. - Check you sent your email to customercare@prettygreen.com. If you have sent the email successfully you should have received an automated response with a ticket enquiry number. If this hasn’t been received we recommend forwarding your enquiry on again to ensure it reaches a member of the team. WHERE ARE YOUR PRETTY GREEN STORES LOCATED? We are always looking to expand our stores and we currently have Pretty Green stores around the UK, Nothern Ireland and Scotland. For the address, opening times and contact details our all of our stores, visit our store finder. WILL AN ITEM BE RE-STOCKED? Occasionally we receive two drops of products throughout the season however we can never guarantee that an item will be restocked online. It is possible that the item may be available in your nearest Pretty Green store. Alternatively keep an eye on the website as it's possible that the product may return back in stock if someone has recently purchased it and decided to return it to us. As a competitive online business we adjust our pricing in response to fashion trends, stock and demand from our customers. It is our general view not to refund the difference as with all retailers this is the nature of sale. It is ultimately very likely to happen with most of our products excluding continued pieces; as we move from one season to the next, however it is down to individual to run the risk of waiting for sales and promotions for their product to be sold out in the colour or size required. If the purchase was made within the last 14 working days please contact our customer care team who will be happy to advise you further. All images, descriptions and prices are accurate and we aim to keep all information as accurate as possible, however, at times an error may occur. If for some reason, an item is purchased at the incorrect price it will be put on hold, and the option of placing a new order with the correct price or cancelling your order outright will be given. In circumstances where we are unable to contact you, the order will be automatically cancelled. DO PRETTY GREEN HOLD SAMPLE SALES? In the past we have held several sample sales across the UK. At these events we sell sample pieces, seconds and previous season stock at reduced prices. Normally we advertise our sample sales via the Pretty Green website, Facebook, Twitter and our emailed newsletters so make sure you’ve registered with us and following our social network pages. If you have received a £10 in store voucher as part of an on-line promotion or when shopping in-store you can redeem it at your nearest Pretty Green Store. Hand the gift voucher over to the cashier when you are ready to pay. Please note these are for in-store use only and cannot redeemed on-line. Terms & Conditions: In store gift vouchers are redeemable on full price merchandise at any of the official Pretty Green stores throughout the UK. The gift voucher may not be used in Pretty Green concessions or third party department stores. The gift voucher may not be returned or exchanged for cash. Should not all of the value on the gift voucher be used in a transaction, no change will be given. Any refunds will be of the value of the monies paid. No credit will be reimbursed to this gift voucher. The value of this gift voucher will be forfeited. Strictly one gift voucher per transaction. This gift voucher cannot be used in conjunction with any other discount or promotional offer. This gift voucher must be used before the date shown in the valid until box. If this gift voucher has not been used before this period, the voucher will expire and the value will be forfeited. Pretty Green reserves the right to amend the terms and conditions of this gift voucher at any time and to take appropriate action including cancellation of this gift voucher if it deems such action necessary. Pretty Green offer a 10% Student Discount available to students who hold an account with Student Beans www.studentbeans.com and who are currently studying in the UK;. 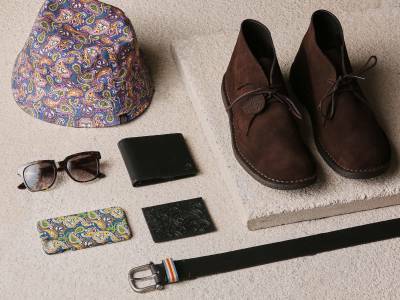 The discount is only valid on full price items at www.prettygreen.com and in official Pretty Green stores. To redeem the Discount online, you must follow the instructions to generate your unique Student Beans discount code at the Pretty Green online checkout. Each code is unique and can only be used once. Items may only be returned in line with ourreturn policy and will be refunded at the discounted price paid. This does not affect your legal rights. The Discount cannot be used in conjunction with any other promotion/offer and the exclusions are, gift cards, e-vouchers & sale items. The Discount is non-transferable and no cash alternative will be given. Should a Student Beans code be attempted to be used by anyone other than an eligible account holder, the discount will be withdrawn without notice. Pretty Green reserves the right to withdraw or amend this promotion or it's terms and conditions in the event of any unforeseen circumstances, outside of its reasonable control or if it considers necessary to do so. HOW DO I CHANGE THE CURRENCY ON-LINE? If the e-voucher was purchased as a gift and you requested the email to go to the recipient directly, please can you ask them to check their E-Voucher email is not in their junk or spam folders. If the email has not been received, please contact our customer care team who will be happy to help. This offer is valid for purchases of £150GBP / €180EUR / $240USD and above only. May not be used in conjunction with any other promotions. Certain products excluded (e.g. e-Vouchers, gift cards, outlet product). This promotional code may not be used in conjunction with any other offer. This offer may be withdrawn at any time and for any reason and no correspondence will be entered into. May not be used in conjunction with any other promotions. Certain products excluded (e.g. e-Vouchers, gift cards, outlet product and Mathmos Lava Lamps). This offer may be withdrawn at any time and for any reason and no correspondence will be entered into. We don't have any competitions running online at the moment. 1.1. No purchase necessary. One entry per email address allowed. No automated entries on the site will be accepted. Pretty Green is not responsible for late, incomplete, inaccurate or illegible entries that are not received, in whole or in part, due to computer, Internet, or electronic malfunction, failures or difficulties. All entries are subject to the eligibility requirements stated below. 1.2. Prize(s): A £1000 giftcard redeemable on www.prettygreen.com or in an official Pretty Green store [excluding Pretty Green Gift Vouchers / E-Vouchers, the entire value of the giftcard must be redeemed in a single transaction, valid until 31st May 2013] will be awarded. The closing date for entries is 31st March 2013 at 23:59 GMT Standard Time. The prize is non-transferable and excludes all other costs and arrangements. No cash equivalent or alternative prize will be given on request of the winner. 1.3. Drawing and Award: A random drawing will be conducted by a Pretty Green representative, which may be a Pretty Green employee or a third party administrator within 72 hours of the closing date from among all eligible entries received. The winner will be notified by email to the address of the email account holder. If a potential winner cannot be contacted within 48 hours, s/he will be disqualified and an alternate entrant will be selected. 1.4. Eligibility: This competition is open only to residents of the United Kingdom only aged 16 or older. If you are not a resident of, and located in, the United Kingdom at the time of entry you do not meet the eligibility requirements and your entry is void. This competition is not open to employees of Pretty Green Ltd, its third party administrator(s) (if any), or to their immediate families. 1.5. General: By entering, participants release and hold harmless Pretty Green and its administrator(s), if any, and their respective parents, subsidiaries, affiliates, directors, officers, employees and agents from all and any injury, damage, loss, expense, accident, delay, inconvenience, or irregularity arising out of or relating to: (a) preparation for, travel to, or participation in this competition; (b) attendance at and participation in, any event in connection with the competition; or (c) any Prize won in the competition, or possession, acceptance and/or use or misuse of any Prize won in this competition; even if caused by the negligence. Pretty Green is not responsible for: (A) printing or typographical errors in any competition-related materials; (B) lost, stolen, late, misdirected, damaged, incomplete, illegible, or postage-due mail; or (C) electronic transmissions that are lost or fail to enter the processing system, are processed, reported, or transmitted late, or are lost for any reason including computer viruses, computer problems, Internet downtime, telephone, paper, or any other malfunction including, without limitation, human error. Pretty Green, at its sole discretion, reserves the right to cancel or modify this competition, in whole or in part, at anytime without notice if fraud or technical failures (including but not limited to infection by computer virus, bugs, tampering, unauthorized intervention, or any other causes beyond the control of the Pretty Green and its administrator(s), if any) or any other reasons whatsoever interfere with its conduct as contemplated by these Official Rules. If the competition is cancelled for any reason before completion of the entry period stated above, all eligible automatic and mailed entries received up to the point of termination will be included in a random drawing to award the Prize. By entering, you accept and agree to these Official Rules and the decisions of Pretty Green and its administrator(s), if any, which shall be final and binding in all respects relating to this competition. In the event the winner and/or winner’s guest engages in behaviour that (as determined by Pretty Green or Pretty Green’s representatives in their sole and absolute discretion) is obnoxious or threatening, illegal or that is intended to annoy, abuse, threaten or harass any other person, Pretty Green or Pretty Green’s representatives reserve the right to terminate the applicable experience early, in whole or in part, and send the winner and/or winner’s guest home with no further compensation. No cash alternative or Prize substitutions will be allowed, except Pretty Green reserves the right to substitute prizes of comparable value if a prize listed or any portion thereof is unavailable for any reason. The Prize is subject to restrictions imposed by Pretty Green. The winner agrees, by participation in the competition, to carefully read the instructions accompanying the prize and to adhere to any restrictions imposed by Pretty Green. 1.6. Privacy: Your participation in this competition constitutes your consent for Pretty Green and its third-party administrator(s) to use your personal information for the purpose of administering the competition and awarding the Prize. WHERE ARE THE SIZE GUIDES/CARE INSTRUCTIONS? We are working on providing size guides & care instructions for every product available on our website. Currently you can find size guides on the product page of certain items. If you are unsure about sizing, please contact our customer care team for any additional information. WHAT IS THE 'FIND THE SIZE' LINK? Where ever you see the ‘FIND THE SIZE 3D’ button you will able to access the Fits.me virtual fitting room. From here you will be able to enter all of your measurements and see a virtual representation of how the item will fit on your torso and a recommendation of the size you should wear. - E-Voucher - Sent via email, available in denominations of £10, valid for 12 months, redeemable online only. HOW CAN I PAY USING A GIFT VOUCHER? You can redeem Pretty Green Gift Vouchers online and in store and Pretty Green E-Vouchers online only. In order to redeem a Pretty Green Gift Voucher or E-Voucher online select 'Gift Voucher' at the 'Payment Method' stage of the checkout. At the 'Payment' stage enter the 12 digit code in the 'gift certificate code ' box. If you have any remaining balance left to pay, you can use a different payment option to complete your order. You can also redeem Pretty Green Gift Vouchers (only) in any Pretty Green Store. Simply hand over the Pretty Green Gift Voucher to the cashier at the checkout. If you have any problems redeeming your Pretty Green Gift Voucher please contact our customer care team who will be happy to assist. HOW CAN I USE A DISCOUNT/PROMOTIONAL CODE ONLINE? You can redeem any discount codes issued by us during the checkout. Ensure you enter the code in 'DISCOUNT CODE' box at the payment stage of the checkout. Please note all discount codes are subject to individual terms and conditions. To shop in Japanese YEN please visit Pretty Green Japan. WHY HAS MY PAYMENT HAS BEEN DECLINED? Don't worry, occasionally your card maybe declined for a number of reasons. Please check the details your are entering at the checkout are correct including the card type, start date and expiry date and that the billing address matches the same billing address registered to the card. If you would like some further advice we recommend contacting your bank or our customer care team who will be happy to assist. 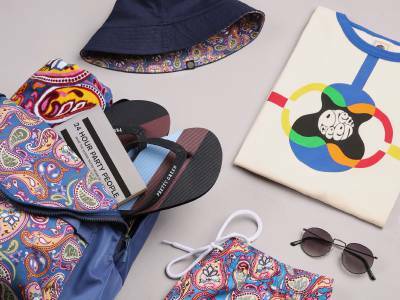 CAN UK CUSTOMERS PURCHASE FROM THE PRETTY GREEN JAPAN SITE? We’re afraid the Pretty Green Japan site works separately to our UK site. Customers who live outside of Japan will not be able to access and pay for orders on this site. Products featured on the Japan site will also remain separate and quite often different to our UK collections. Unfortunately once payment has been accepted, we cannot amend your order; this includes changing the size / colour of an item, removing an item, changing the delivery address or any payment method. Each order constitutes a separate transaction and we are not able to consolidate separate transactions into one single order or parcel. If you would like to order multiple items for delivery at the same time, you must ensure that all of these appear on the same order before you confirm and pay for your order. Under the Consumer Contracts Regulations 2013 you have 14 calendar days from the date of receipt to cancel you order. You can also choose to exercise this right and cancel your order by completing and submitting to us a Cancellation Form including this inside your parcel with your unwanted order. Alternatively you can notify us by email at customercare@prettygreen.com stating that you wish to withdraw your order quoting your order number. Under the Consumer Contracts Regulations 2013, customers within the European Union have up to 14 calendar days (from the date you receive your goods) to withdraw your order with us. - You can also choose to cancel your order by completing and submitting to us a Cancellation Form including this inside your parcel with your unwanted order. If we do not receive the item(s) back, we will arrange to have them collected at your cost. Please note you are under statutory duty to take reasonable care of the item(s) whilst they are in your possession. If you fail to abide by this we may have a right of action against you under a breach of statutory duty. We will endeavour to issue a refund for the full price you paid for the item(s) (including any standard delivery charges) to the original purchaser’s method of payment, and in any case within 30 days. DO YOUR ON-LINE PRICES INCLUDE VAT? All our products are advertised on-line without the VAT included. We do not want to increase the price of our products and have our customers incur further costs for VAT. Instead what we do is cover the costs at our end and swallow the costs within the UK. This also makes it easier for customers worldwide as the initial price you pay will always be the same as no VAT is added. Should you live in an area where your parcels are exempt from VAT such as Jersey or Guernsey you must understand that we are not able to reimburse or refund any costs to you as the VAT charges were not applied to your parcel originally. If your order has been received by us then you should have seen a ‘thank you for your order’ message on the screen shortly after payment was made. Shortly after ordering you will receive an email confirmation from us providing you with an order reference number and details of the order. If you’ve not received this email please contact our customer care team so we can check that your order was successful. In the event that an item is out of stock your order, you will be informed as soon as possible once we are made aware by our dispatch team. The unavailable item will be cancelled and a refund will be processed including any postage costs if the order contains no further products. Where your order is for multiple items, the rest of the order will remain untouched and will be dispatched out to you as normal. We will dispatch your order as quickly as possible from our warehouse within the estimated time period advertised. Once your parcel is out for delivery you will receive an email and/or SMS text message from the courier directly, providing you with a tracking number and where possible an estimated time slot for delivery. Please allow the time-scale advertised on-line for your purchase to arrive. For all our UK and some European customers you can check your parcels progress by using the tracking system on HERE. We offer Express and Standard shipping to most countries. You will be shown an estimated delivery day during checkout. Shipping charges and times are subject to change. Express delivery may not be offered during sale periods. Express delivery does NOT guarantee or imply next-day delivery. UK deliveries are normally handled by DPD. International Standard Delivery is normally handled by DPD. International Express Delivery is normally handled by DHL. In rare cases we may need to use an alternative courier to expedite your delivery and you should receive an email from them after dispatch so you can track your order. When your parcel has left our warehouse you will receive an email from the courier providing you with a tracking number. You can use this reference number to view the status of your parcel on the courier’s website and view when it’s likely to arrive. Should you require any assistance with delivery or want to get in touch with couriers you will need to quote your tracking number. Any NON-UK orders will be delivered by one of the following couriers: Aramex, Fedex, DHL, DPD Europe. All UK deliveries are made with DPD couriers. You can use their website www.dpd.co.uk to track your parcel, reply to your calling card message and view any current delivery updates. If you require any further assistance please speak to our customer care team who can contact DPD couriers on your behalf. We’re committed to getting your order to you as quickly as possible, but sometimes goods maybe subject to delays which are beyond our control. Please note occasionally due to unforeseen circumstances and weather conditions, delivery may be delayed. We will try to inform you of any complications however if you’re concerned we recommend checking your tracking number on the couriers website for updates. *SALE* PLEASE NOTE that during sale and promotional periods it is not always possible to adhere to our normal delivery time scales. Due to the high volume of orders received we would estimate up to 10 working days for UK delivery and further few days for European and international parcels. While we will try to get your order out to you as soon as possible please bear with us during this time. If you are still unable to locate your parcel please contact our customer care team. *PLEASE NOTE when ordering during our sale periods all orders within the UK, Europe, USA and Rest Of The World will take additional days to arrive which we will try be advertise. We hope that our customers will understand that during this busy period our normal delivery times are not available and to expect their order later than usual. Thank you for your patience. We calculate our delivery costs in line with our competitors and we select the best couriers appropriate to the shipping destination to ensure that you receive your items as quickly and efficiently as possible. If you have provided an incorrect/ incomplete delivery address or you're struggling to have the order delivered please contact our customer care team. Don't be alarmed there are many reasons why a parcel may not arrive when expected; this could be down to a drivers route change, traffic, weather conditions and potentially just an issue with the address provided. Best thing to do is look up your tracking number on the couriers website this should update with a reason for the delay in delivery. Should a parcel not be delivered on the first attempt a calling card should be left through your letter box. This calling card is a small note detailing the failed delivery attempt which allows you to choose from a few options to ensure that the second delivery attempt is successful. You can choose to have the parcel left in a safe place (Usually a porch/secure area not in view of the public), returned to a local depot for collection or request for the driver to try with a neighbour. Please fill in the calling card correctly or complete the form on-line as soon as possible otherwise the driver is likely to attempt delivery the next working day. If you miss two attempted deliveries and do not respond to any calling cards left then the parcel will be returned back to us at head office. If you're concerned for the whereabouts of your parcel please do not hesitate to contact our customer care team. Please note that we may not be able to deliver to areas of political instability. We select the best courier appropriate to the shipping destination. All orders will be delivered by one of the following couriers: DPD, Aramex, Fedex, DHL or DPD Europe. Every parcel that we send out is tracked and will require a signature upon delivery. If you would like further information on the delivery of your order please contact our customer care team and a member of the team will be happy to advise. DO YOU DELIVER TO WORK/BUSINESS ADDRESSES? We can offer delivery to your permanent residential address or your place of employment (as long as it is not a PO BOX address). If you want your delivery to be sent to your place of work make sure you input these details into the 'Shipping Address' at the checkout. Please also be confident that there will be someone at your work who will be able to sign for the parcel upon receipt and ensure it gets to you as we cannot be held responsible for packages that go missing once they are signed for. Our warehouse team take care when dispatching orders but occasionally your parcel can be damaged in transit. We recommend that when you receive your order, you carefully check the item(s) received. If you notice any problems with your order you should notify our customer care team as soon as possible quoting your tracking number, please also keep all packaging in case the parcel was tampered with as this may be required back to complete further investigations with the couriers. Please check the 'Goods Return Document' included with your order to confirm the item(s) that were delivered. The customer care team will begin an investigation as soon as possible which may involve checking CCTV, images taken, stock take on the product(s) in question, interviewing the couriers driver and checking all avenues to determine how this has happened. Once this investigation process is complete then the team will do their best to resolve this for you. CAN I CANCEL AN E-VOUCHER ORDER? If you are the person who purchased the voucher you can cancel the order within 30 minutes of placing the order and after this time provided that the gift voucher has not been redeemed. To do this please contact our Customer Care Team for assistance. Contact our customer care team and a member of the team will be able to assist you. If you wish to return any unworn / unused item(s) (faulty or otherwise) you may do so within 14 days of the date it was delivered to you and receive a refund or exchange (subject to availability). The date your item(s) were delivered can be found when tracking your order on the couriers website. This returns policy does not affect your statutory rights. Item(s) must be returned to us in the same condition you receive them with any tags and labels attached. Please note you have a legal obligation to take reasonable care of the item(s) whilst they are in your possession and they are under your responsibility until they arrive at our warehouse. We recommend therefore that your item(s) are packaged securely to ensure they avoid damage in transit on return to us. On the ‘Delivery Note/Goods Return’ sheet received with your order, mark clearly the returns code and request code against the item(s) you wish to refund / exchange. Peel off the returns address square label supplied only and affix it to the outside of the package. Place the rest of the completed sheet inside the package with the item(s) you wish to return to us. We provide a free United Kingdom returns option via Royal Mail – find more information by visiting our Returns page. If we consider any item to have been used / worn / washed, have any original packaging missing or any item is returned to us in an unsatisfactory state, we may reject the return and refuse the request for a refund or exchange. Upon request, refunds will be issued through the original purchaser’s method of payment (Debit / Credit card/ PayPal / Gift Voucher). On receipt of your return, we will endeavour to refund you within 10 working days. An email confirmation will be sent once a refund has been issued. **If a discount/promotional code was applied to your original order, the amount refunded will be adjusted to allow for the revised order value and appropriate discount level. If you wish to exchange an item for a different size or colour, please return your item(s) to us following the ‘Returning Your Item(s)’ section above. Once we have received your return we will endeavour to process your exchange as soon as we are able to. Please note that we are only able to exchange an item for the same style in a different colour or size (subject to availability). If we are unable to exchange your item(s), a refund will be issued through the original purchaser’s method of payment. On receipt of your exchange, we will endeavour to exchange the item(s) or refund you within 7 working days. An email confirmation will be sent once an exchange or refund has been issued. Please note you are under statutory duty to take reasonable care of the item(s) whilst they are in your possession. If you fail to abide by this we may have a right of action against you under a breach of statutory duty. For full details on returning your item(s) to us please refer to the guidance on the ‘Returning Your Item(s)’ section above. If we do not receive the item(s) back, we will arrange to have them collected at your cost. Our Warehouse team take great care when packing and dispatching all customer orders however we would highly recommend that when you receive your order you carefully check the Delivery Note and the item(s) you receive. The law gives a customer certain rights in respect of goods not fitting their description, being of unsatisfactory quality or not being fit for purpose. If you have received any items of this nature you may be entitled to refund (within 30 days), repair or replacement. For further details on your rights as a consumer please visit the Citizens Advice Bureau. If you find you have received a faulty or incorrect item please notify our customer care team as soon as possible. If you have received a faulty or an incorrect item we will be happy to offer an exchange for an item in the same or correct product (subject to availability) or offer you a refund for the full price you paid for your order (including any delivery charges incurred). You must return any incorrectly delivered or faulty item(s) to us as soon as possible, and at the latest within 30 days of receipt. If you return a faulty or incorrect item within 30 working days, we will reimburse your returns postage cost. You will need to ensure you keep hold of your postage cost receipt for authorization. We do not cover returns postage costs in any other circumstances. Once we have received you order, our team of technical experts will inspect your item to confirm a manufacturing fault. If you are returning a defective item please follow the our returns policy and mark on the ‘Delivery Note/Goods return’ sheet that the product is faulty (FA) or a wrong item (WI) in the space provided above please state the fault or the wrong item/size you’ve received. Refunds will be issued through the original purchaser’s method of payment. On receipt of your return, we will endeavour to refund you within 10 working days. An email confirmation will be sent once a refund or exchange has been issued. If you request an exchange for a defective or incorrect item you will not be liable for the delivery charges of the replacement item(s) and we will try to get this new order out to you as soon as possible. On the ‘Delivery Note/Goods return’ sheet received with your order, mark clearly the returns code and request code against the item(s) you wish to refund / exchange. You can either write the codes on the dotted line to the right on each returned item or circle/tick/highlight the codes below. Peel off the returns address square label supplied only and affix it to the outside of the package. Place the rest of the completed sheet in the package with the item(s) you wish to return to us. HOW DO I RETURN AN ORDER FROM OUTSIDE THE UK? Please follow our returns policy when sending any unwanted items back to us but please note any orders being returned from outside the UK may need to be subject to further paperwork when handing the parcel over to a courier. Please make sure that the courier or postal company you choose to use are aware that the goods are of UK RETURN and were originally dispatched from the UK. You may need to declare on further paperwork that your parcel is of GOODS RETURN. If the parcel is not highlighted as originally being exported from the UK then it may end up stuck in customs and charges will become incorrectly applied to the goods. Unfortunately the lengthy process to have parcels released due to us being exempt from these charges can often led to the parcel being returned back to you the sender. On receipt of your return, our customer care team will endeavour to issue a refund or exchange and notify you within 7 working days of receipt. In the event that 10 working days have passed since we signed for your returned order, please contact our customer care team quoting any tracking or reference numbers related to your returned item(s). Please note we recommend you pay for a recorded or tracked service with a courier or local post office and obtain and keep proof of postage in case you need it as evidence that you have returned the item(s) to us. HOW LONG WILL IT TAKE TO RECEIVE MY REFUND/EXCHANGE? All Returns are processed within ten working days (excludes weekends and bank holidays). When your return has been completed you will a confirmation email from us which will detail your refund or exchange in full. All exchanges will then be subject to our current delivery timescales. You will also be given a new order reference number for this order in your email. If you’ve been issued a refund then this will appear back on the relevant payment method within three to five working days from the date the email is received. Please note if you paid via PayPal that refunds back to your account may need to be withdrawn from here to appear back in your bank account. CAN I RETURN AN ONLINE PURCHASE BACK TO A PRETTY GREEN STORE? CAN I POST AN IN-STORE PURCHASE BACK TO HEAD OFFICE? If you have purchased an item in one of our Pretty Green stores and require and refund or exchange you will need to return this item back to either the same store or your local store. Our stores work from different IT systems so head office cannot physically process any refunds or exchanges for store purchases. If you wish to query the return or do not live local to a store then we recommend contacting the store where the purchase was made and they will be able to advise you further. They should be able to process a store return via the post for you. Pretty Green are happy to exchange or refund any item returned in a saleable condition, in its original packaging with its receipt/proof of purchase within 28 days. A refund will be issued by the original payment method to the value of the item printed on the receipt. For debit/credit card refunds, the card and the cardholder must be present. HOW DO I RETURN/EXCHANGE MARSHALL® ACCESORIES? For hygiene reasons; Marshall Accessories may only be returned to us for a refund or exchange if the seal on the box is unbroken. If you wish to return any unwanted Marshall accessories you must do so in the original packaging with the seal intact. If you believe you have received a defective item upon receipt please contact our customer care team who will be happy to sort this out for you. When you return an unwanted item to us we will refund the price you paid excluding delivery charges except where the item is deemed as faulty / delivered incorrectly or where the order has been cancelled under the distance selling regulations. We apologise if we have made a mistake whilst processing your returned item(s). If you were expecting an exchange and received a refund this may have been due to the item(s) being unavailable at the time of exchange, in which case we would refund you the price you paid for the item and notify you by email. If you were expecting a refund but received a replacement item or have been refunded the incorrect value please contact our customer care team who will be happy to sort this out for you. CAN I RETURN ITEMS THAT WERE PURCHASED USING A GIFT VOUCHER? Yes of course, your right to return an item remains the same whether you've purchased it with a gift voucher, a payment card, PayPal or a combination of both. In the event of a forgotten password you can obtain a new one by using the Forgotten Your Password? link, which is also located on the login screen. A new password will be sent to you by email to your registered address. To shop with Pretty Green online we require you to register your details. Please note buyers must be over 18 years old and have full legal capacity. To do this visit the Register section, complete all of the details and click register at the bottom of the page. Once you have done this you can begin browsing the products on our website. If you would like to purchase an item click 'Add To Basket' on the product page. When you have finished shopping, click on the 'Shopping Bag' link to proceed through the checkout entering all of your payment details and submit your order. Alternatively please call our customer care team on +44 (0)1189353555 (9-5, Mon - Fri) or request a member of the team to contact you (specifying a preferred date and time) and we will be able to process the order for you over the phone. To register with us on-line visit submit all your details here, read through our terms and conditions and sign up for our newsletter. When finished click on the ‘Register’ link at the bottom of the screen. To update any details, visit My Account amend your details and click on the 'Update' link at the bottom of the screen. If you don’t receive an email within two hours please contact our customer care team who will be happy to re-set your password manually for you. If your not receiving our newsletter you could be missing out on the latest news and offers as they happen at Pretty Green. A common reason that you might not be receiving emails from us is that your email client is marking our emails as spam and these are being sent through to you junk folder. To stop this from happening add "hello@prettygreen.com" to your address book. CAN I VIEW MY ORDER HISTORY VIA MY REGISTERED ACCOUNT? Unfortunately we do not have the facilities available currently for a customer to view their order history when logged into their account. We’re hoping to provide this service to all customers in the future. If you have any questions or queries concerning new or previous orders please contact our customer care team who will be happy to help you. We will endeavour to resolve any problems to ensure you can shop with us online in the future. Scroll down to "Active Scripting" and select "enable".